We are pleased to share this article that Osel’s Richard Campanini was invited to write for the Bursar’s Review – The Independent Schools’ Bursars Association. 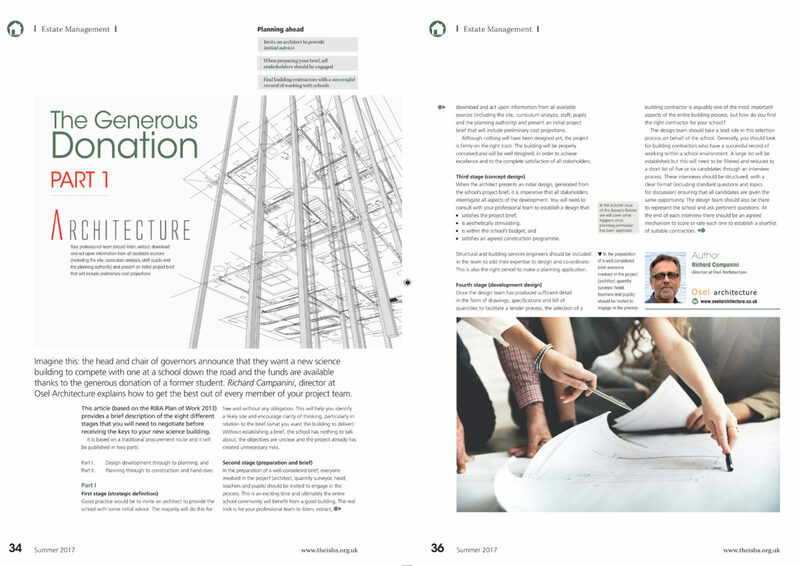 The article is being published over two magazines and covers the eight different construction stages (based on the RIBA Plan of Work 2013) and how to successfully deliver a new extension, alterations or a new school building. This entry was posted in Practice News and tagged Press Releases. Bookmark the permalink. Follow any comments here with the RSS feed for this post. Both comments and trackbacks are currently closed.